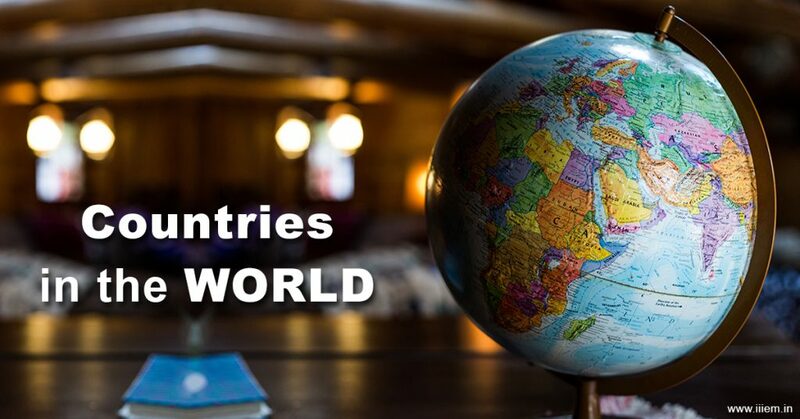 How many Countries are there in the World? A highly debatable question when Virgin Mobile & Reliance advertise that they have their network in all 240 or 260 countries of the world where ever you may go. Is it really a fact? Not at all. A Country is defined by its sovereignty, Constitution, its flag and its state – territory. Geographically a territory may be a part of an island but yet the Country claims it to be its own. For example, Indonesia is made up of 1300 islands, but they all fall under one Country Indonesia. Brunei is a very small land mass, as small as a little island, but yet it is an independent Country. According to the United Nations & the CIA World Fact Book, there are 195 Countries recognized by the World. Yes, there are several territories and dependencies in the world which are attached to a Country but are not Country in their own rights. For Example Macau, although an autonomous body freed from British Colony, yet is a part of PRC-China. Similarly Macau too is a dependency. And the case is different for Hong Kong. It’s not HongKong, it’s Hong Kong. Hong Kong is both a separate country and a part of China. It has its own government called the Government of the Hong Kong Special Administrative Region. Till 1997 Hong Kong was a British Colony (it was leased to Britain for 99 years in 1898). 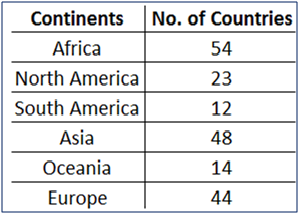 While Counting Countries, Hong Kong is not counted separately though, unfortunately. 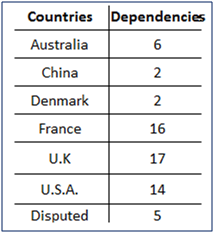 There are about 62 dependencies and territories attached to various Countries. These are NOT countries; they are called territories or dependencies. Yet before we settle with 195 Countries, let us also have a look at the numbers that World Trade Organization ( WTO ) The entire world is into business or trade with a network of countries. As per the WTO, there are only 159 Countries. The Least developed countries are not counted under WTO until its economical level is up to an acceptable mark as defined by WTO. India exports approximately 7500 commodities to about 192 countries. India imports around 6000 commodities from 140 countries. For export & import business, a country may do business with a dependency also. For example India & Hong Kong have trade relations, But it is not very likely that one country may do business with Kosovo directly as it is still considered as a part of Serbia separated from the Russian Federation. So Kosovo is struggling to get its identity from Yugoslavia and Serbia and hence export import trade is a little difficult yet. Hence it is definite that we have 195 Countries in the World as on date. Certainly new ones will get added, like South Sudan in 2011 got itself an independent status! We then we are breaking our own territories & boundaries, instead of solidarity we are dividing our world. this information is very helpful and gives a very good knowledge related to export. Import and export business has taken their business to next level. May be import has strong controlled by china has their product has all over the world, one of the reason could be cheapest among all and the resource they have. Major of the import and from china . Their are so many companies to provide but eCourierz give you best and cheapest import/export.